Cheese Tasting Gala: What a deal for $25 per person! 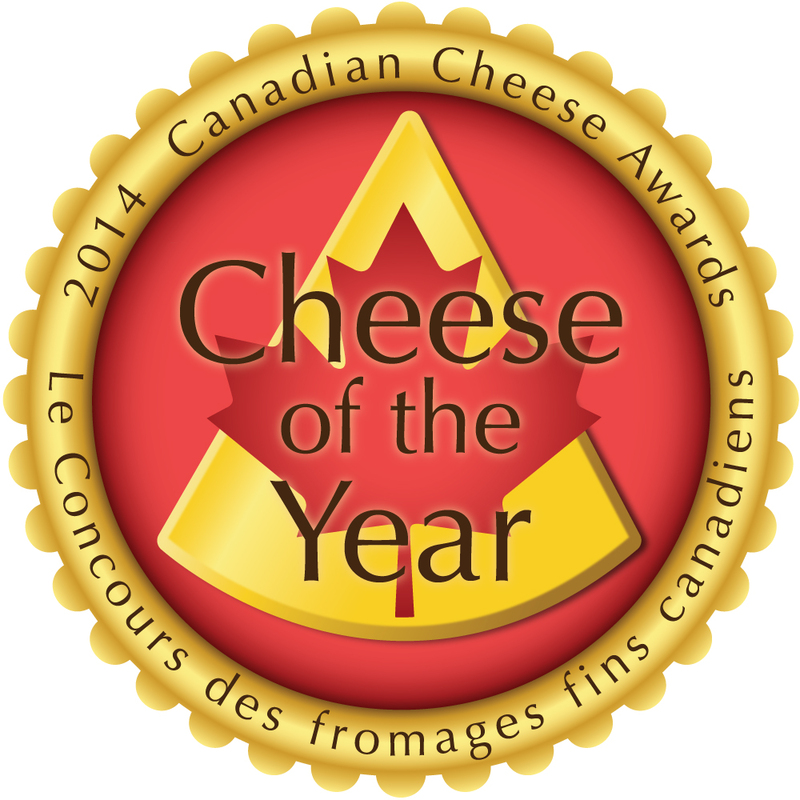 Who will be named Canadian Cheese of the Year? Winners in the inaugural Canadian Cheese Awards/Le Concours des fromages fins canadiens will be revealed during an Awards Ceremony, Reception and Tasting Gala open to the public on April 7 at St. Lawrence Market North in Toronto. The new and independent competition, with Loblaw Companies as Marquee Sponsor, has quickly become the biggest cheese competition in Canada with 76 producers from Newfoundland to British Columbia submitting 291 cheeses for judging. Appropriately, the competition will reach its climax at the venue National Geographic has called the world’s best food market. The competition culminates on Monday, April 7, when the Awards Ceremony begins at 3 p.m. with the announcement of 30 award winners plus the Canadian Cheese of Year followed by an Awards Reception at 5 p.m. The Awards Tasting Gala begins at 6 p.m. with the winners as well as finalists on display for tasting by the public. Qui sera connue sous le nom de fromage de l’année? outstanding craft beer from Mill St. Brewery. Tickets are for sale only online at <http://tinyurl.com/Awards-Tickets>. Admission is $25 per person for the Awards Tasting Gala. A limited number of tickets are also available for the Awards Ceremony and Reception at $25 each. Guests at the Tasting Gala can enhance their experience by engaging with “experts in the crowd” in red aprons–like cheese educator Julia Rogers–who will have you tasting and talking cheese like a pro from your very first bite. Anita Stewart, culinary activist, author, founder of Food Day Canada and Food Laureate, University of Guelph, will host the festivities. For additional information, please visit CheeseAwards.ca or telephone 1-866-865-2628. Click here for a preview of the finalists in the search for the best artisan cheeses made in Canada. Loblaw Companies is Marquee Sponsor. The Canadian Cheese Awards is sponsored by Loblaw Companies and Dairy Farmers of Canada, La Ferme Black River Game Farm, Plaisirs Gourmets, Palatine Hills Estate Winery, The Grange of Prince Edward Vineyards & Estate Winery, Mill St. Brewery, ACE Bakery, Seed to Sausage and The Great Canadian Cheese Festival, with historic St. Lawrence Market the venue sponsor. World’s best food market is Host Sponsor. The Official Cheesemongers of the Awards are cheese shops of St. Lawrence Market: Chris’ Cheesemongers, Olympic Cheese Mart and Scheffler’s Delicatessen & Cheese. As a service to the cheese industry and as a guide for consumers, Canadian Cheese Awards is being organized by The Great Canadian Cheese Festival, the biggest artisan cheese show in Canada that is held annually in June in Ontario’s Prince Edward County, in Bay of Quinte Region near Belleville. Georgs Kolesnikovs, founder and director of the Cheese Festival, serves as Awards Chairman.